The year is 1923, and one of Ohio's most prominent judges, O'Brien O'Donnell, fathers his first and only child. Though a joyous occasion for the recently married, fifty-nine year old, the birth sets off a terrifying chain of events, beginning with blackmail and the judge's near-fatal breakdown. His only hope for recovery lies with his trusted friend and colleague, Sarah Kaufman. 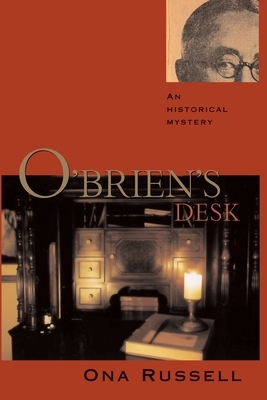 As Sarah begins to unravel the clues surrounding O'Brien's collapse, she is repeatedly confronted with the explosively paradoxical forces that defined life in the twenties: sexual promiscuity and self-righteous morality, Progressive reform and political corruption, racial tolerance and institutionalized bigotry. It was O'Brien's unique ability to strike a compromise between these forces that made him so popular...and, she realizes, so vulnerable to attack. And soon enough, Sarah, too, becomes a victim, a target of the blackmailer's hatred and revenge. But with the help of a story-hungry reporter to whom she becomes ambivalently attached, the unconventional Jewess sets out to free the judge and herself from their common enemy. How? The answer lurks within the hidden recesses of...O'Brien's desk. Based on true events, this suspenseful novel possesses a unique authenticity. With actual newspaper articles about the real O'Brien O'Donnell beginning each chapter, the story invites readers to solve the mystery along with the protagonist, piecing together a decades-traversing narrative, clip by clip. ONA RUSSELL holds a Ph.D. in literature from the University of California, San Diego. She has published scholarly articles and has taught in various colleges and universities in the San Diego area, currently at the UC San Diego Extension. Her second novel, "The Natural Selection," was also published by Sunstone Press.